Kiawah Island Wedding: Part 2! 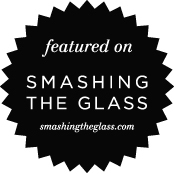 Our second Save the Date for a Kiawah Island wedding is totally different. This is one of the nicest things about working with couples on their wedding stationery: no two couples come up with the same idea. This Save the Date is simpler and completely text-based. 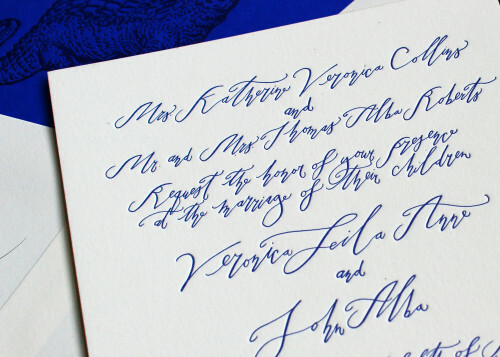 The couple wanted the beauty of Betsy Dunlap's calligraphy to shine through. 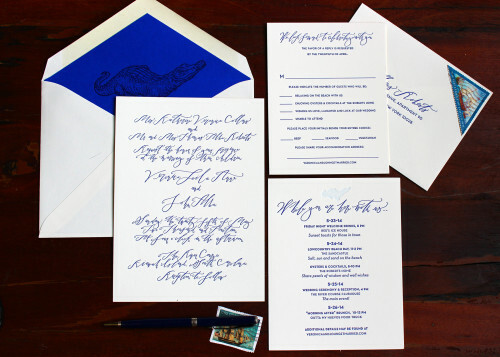 This is such a wonderful way to really customize your wedding stationery: hire a calligrapher to render your names in a unique, one-of-a-kind font and then build the rest of the design around those words. 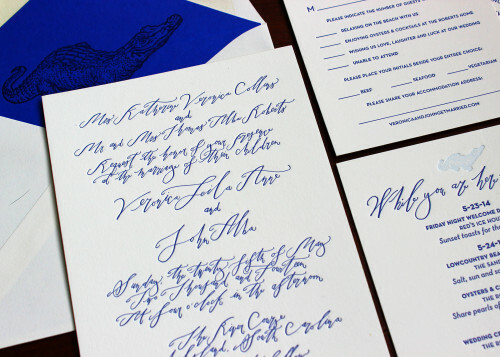 It fun for us to try out different fonts to work alongside this handwritten cursive. We opted for Neutra Caps which has a clean, contemporary feel. And that blue is marvellous!